Street fighting just became illegal in a new way. 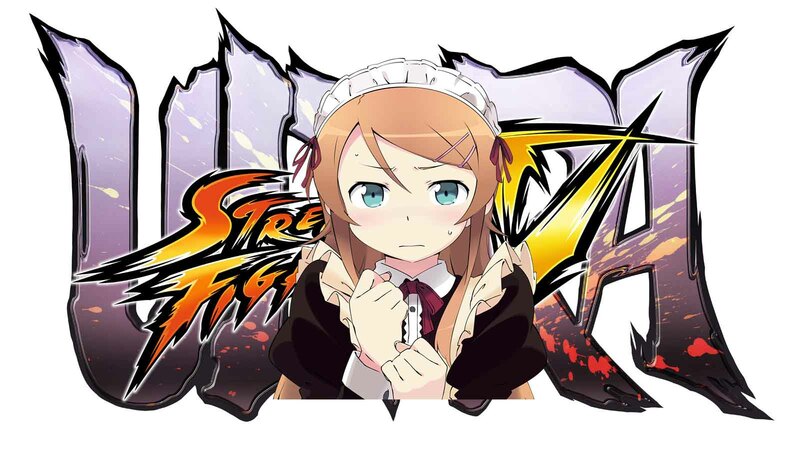 OSAKA, JAPAN – After months of teasing at a fifth character for their upcoming game Ultra Street Fighter IV, Capcom has finally revealed the character to be Kirino from the popular anime series My Little Sister Can’t Be THIS Cute. This may come as a shock to many Street Fighter fans, as there have been speculation and theories amongst the fanbase as to who the fifth character was going to be. After Capcom made a statement claiming that the newest fighter was never in a previous Street Fighter game, and that it was indeed a woman, many fans looked towards the Street Fighter manga to find the new warrior – but no one could have predicted this turn of events. The announcement was made by Capcom’s Yoshinori Ono at a local Killer Instinct tournament (the game is said to be VERY popular in Canada,) where the tournament host who goes by the name of “SaltyBeast676” sat down with man and asked him a few questions. No frame data has been released on Kirino, but Capcom has confirmed that she does 40-70-120 damage.